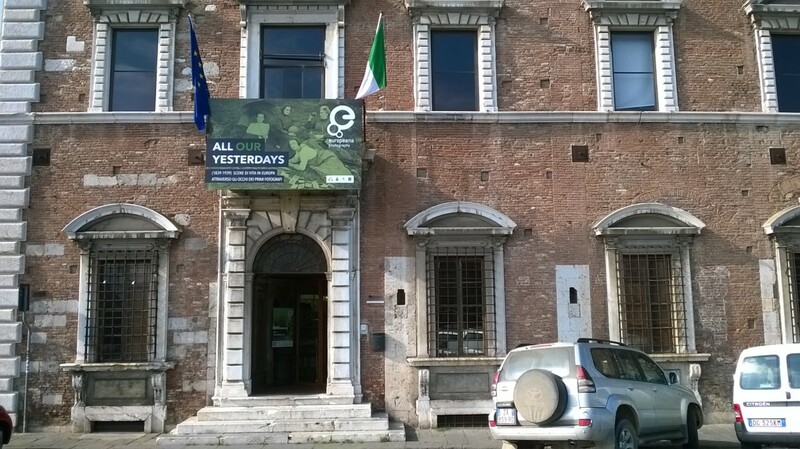 On Friday April 11th we had the official opening of the exhibition “All our Yesterdays” in the beautifully restored Palazzo Lanfranchi in Pisa. The Palazzo is home to the new “Museo Della Grafica“. After some welcome words by Antonella Fresa (Promoter), the major of Pisa Marco Filippeschi and the director of the museum Alessandro Tosi, the patronage of Dario Danti, the chancelor of Culture, guests were able to see the exceptional exhibition curated by Pietro Masi (Promoter) and Sofie Taes (KU Leuven). In close collaboration with the partners Sofie Taes, who authored the catalog, distilled the several subthemes of the overall concept, while Pietro Masi and the Promoter team arranged a sometimes magical positioning of the images in the several rooms of the exhibition. With the help of the European Union in the form of a CIP-project “EuropeanaPhotography“, top photo archives, musea and agencies from Europe were able to digitize images from early photography (1839-1939), involving techniques such as Daguerreotype, Glass negative and Albumen print into very high resolution images (digitzed up to 100 Megapixel), that were her printed on high quality cotton paper in sizes up to 80×70 cm. Wiebe de Jager, representative for Europeana, stressed the value of these collections for the goals of Europeana in his presentation. Viewing these top photographs at such a high resolution and with full dynamic range, gives a totally new experience and a different experience to the historic event. As one of the guests pointed out: “it is as if I can touch the people on the images”. This the way we want digital techniques to be transformational: while being true to the original and conveying this causal link with the past event, the new digital representation – in itself a new work of art – breaks the original “framing” of the perception and triggers a re-experience of what photographically mediated experience is all about. 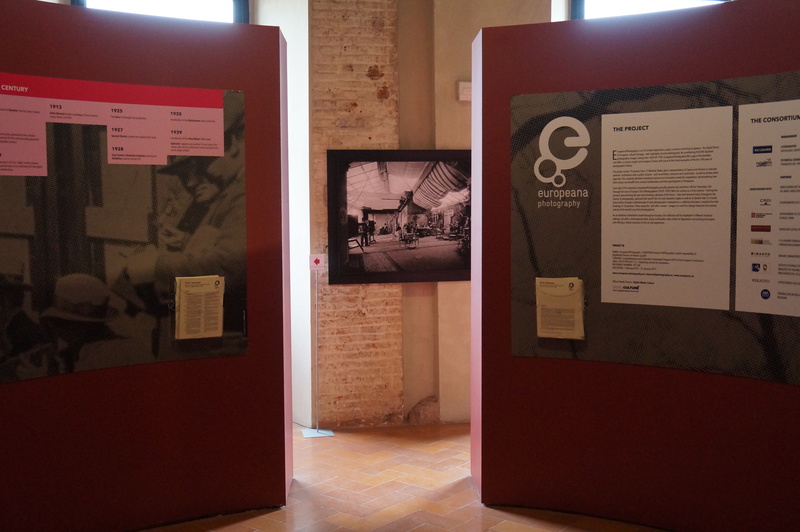 For the theme of the exhibition the partners chose to go for vernacular photography, highlighting city life as it was witnessed by the best photographers. So rather than well-known historical events the focus is on people on the streets, experiencing joy, leisure, hardships, work. It is something we hope the visitors will relate to. 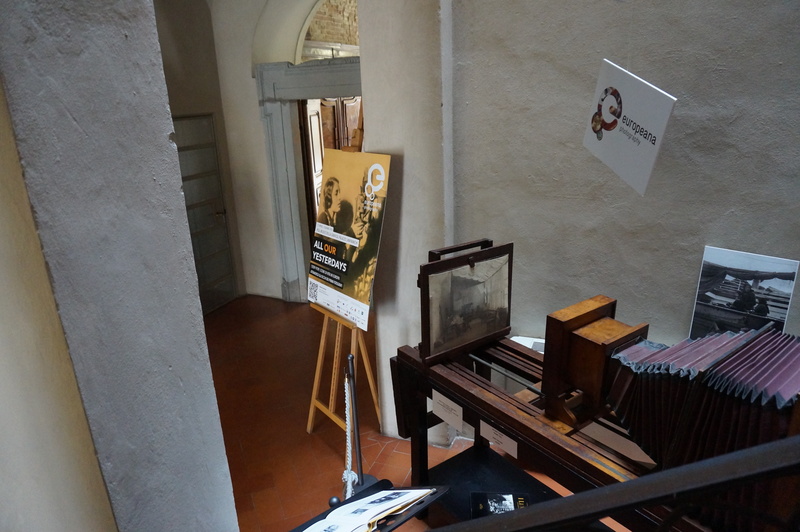 For that very reason the exhibition also hosts a digitisation studio, and we encourage the public to bring their old vintage photographs. In the exhibition a very nice amateur collection is displayed. Read more also on DigitalMeetsCulture. This entry was posted in Digital Humanities, Europeana and tagged EuropeanaPhotography. Bookmark the permalink.